Digital media are rapidly changing the world in which we live. Global communications, mobile interfaces and Internet cultures are re-configuring our everyday lives and experiences. To understand these changes, a new theoretical imagination is needed, one that is informed by a conceptual vocabulary that is able to cope with the daunting complexity of the world today. This book draws on writings by leading social and cultural theorists to assemble this vocabulary. 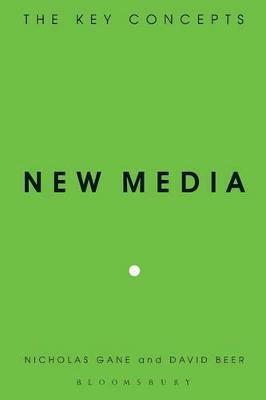 It addresses six key concepts that are pivotal for understanding the impact of new media on contemporary society and culture: information, network, interface, interactivity, archive and simulation. Each concept is considered through a range of concrete examples to illustrate how they might be developed and used as research tools. An inter-disciplinary approach is taken that spans a number of fields, including sociology, cultural studies, media studies and computer science. Nicholas Gane is Reader in Sociology at the University of York and author of Max Weber and Postmodern Theory and The Future of Social Theory. David Beer is Lecturer in Sociology at the University of York.